Koneta Inc. manufacturers the LRV Protecta truck bed mat. These truck bed mats are designed for a better level of protection and provide superior abrasion resistance and tear strength. These pickup bed mats are virtually indestructible, and can take the punishment of daily use in harsh environments, including even most chemical spills. Manufactured of Nyracord, a high strength cord-enhanced rubber compound, Protecta bed mats will not rust, crack, or break, even in extreme temperatures. Extra thick for tough and durable protection. 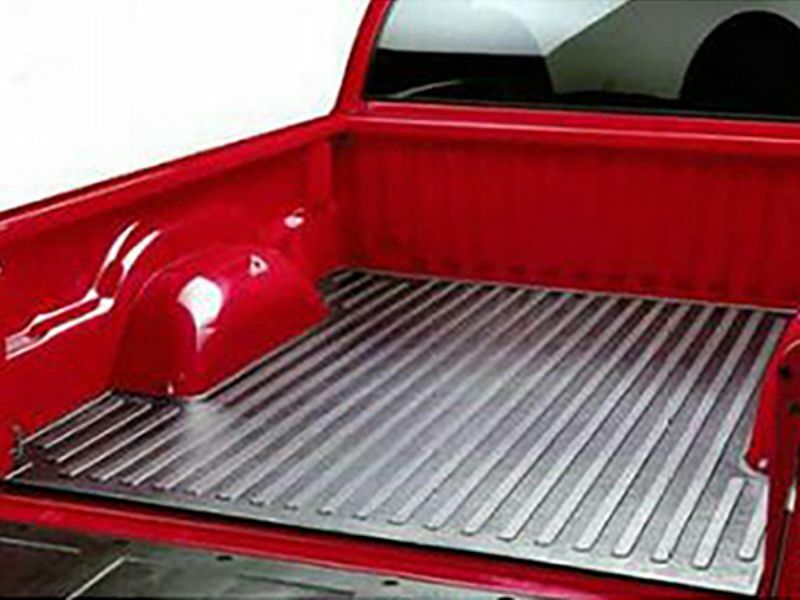 A full 3/8" thick, these rubber bed mats for pickups provide up to 50% more protection than other bed mats. Safeguard your truck and your cargo box. Stylish pebble finish resists cargo shifting. Raised ribs run lengthwise for easier cargo loading and unloading. Knobby underside promotes aeration and drainage to keep your truck bed dry, helping prevent rust and mildew. Custom molded fit for each application so no trimming is required. Bed mat and tailgate mat each sold separately. Made by LRV Protecta. Protecta bed mats are custom made to fit your truck. There is no cutting required for most trucks so all you have to do is roll your new bed mat out into your truck bed. Please give us a call if you would like more information or if you have any questions.